It's that time of the month again when the defacto Clipper card board of directors spends money on things YOU want for your Clipper card. The Operations Committee of the MTC meets on Friday, May 10th at 9:35AM (agenda here). 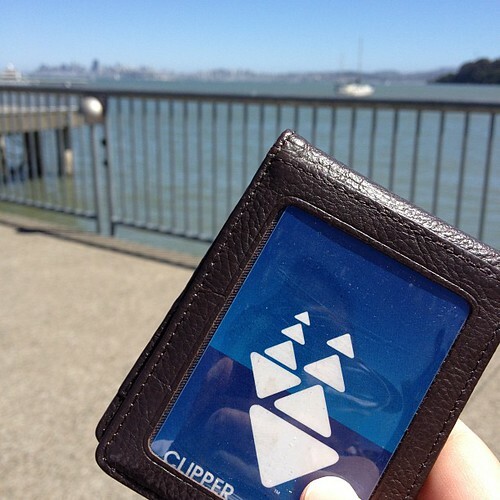 $425,000 to help fund to have Clipper card equipment installed on Marin Transit buses. Marin Transit will also help pay for the installation of the equipment on their vehicles. $150,000 will be spent on an adjustment to the Clipper card readers at all Caltrain stations. The Clipper card readers emit the same tone when you tag-on and tag-off, but due to complaints of people being confused, including those with limited visibility, the modification will be a different sound tone being emitted when you tag-off. For example, you'll hear "beep!" when tagging-on, and "boop!" when tagging-off. In other meeting notes, the board will hear a presentation on customer service for Clipper. They've already made some improvements, such as upgrading the website and making the automated phone system easier to use. The goal for this summer is to have a mobile friendly website up and running. Not a bad set of goals. The need to expand Clipper to the smaller agencies is still in the works, but it seems the progress is just slow. When are they ever going to get Clipper ready for the Vallejo ferry, or how about the Tiburon service Blue & Gold provides? I do feel the adjustment to the Caltrain readers is much needed, but I'm still hoping they will one day have all the ticketing machines be able to add Clipper value and finally end that stupid 8-ride for an across the board equivalent 20% discount on single ride fares.